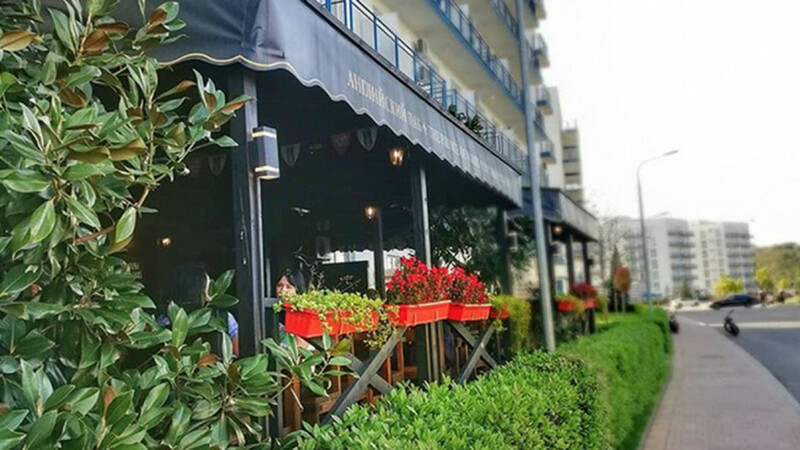 From seafood by the bucket to traditional Irish pies and from wood-paneled pubs to waterfront pavilions, Sochi offers a wide choice of places to watch the matches. Most of them also have the benefit of being near the Black Sea, which means the air will be fresher and the views prettier than in the city center. 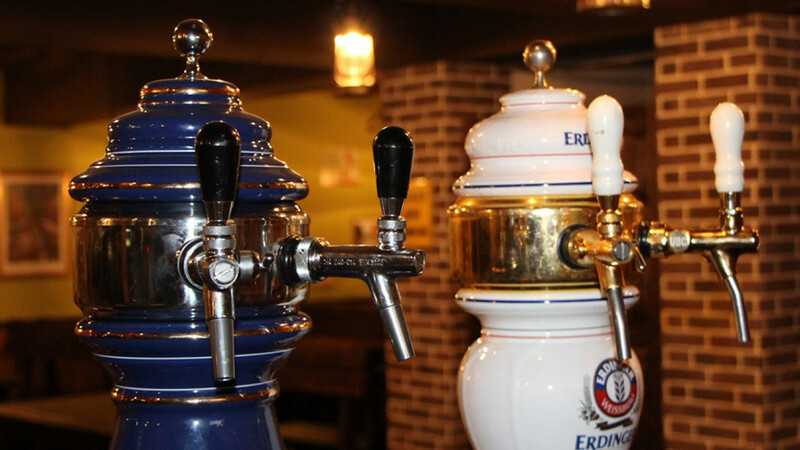 To make sure you find something on your doorstep, we have included pubs and cafes from Sochi and Adler. Sochi’s Fisht Stadium has one unique feature, thanks to its location right on the Black Sea: You can watch the first half of the match, then spend half-time break looking out over the water, calmly pondering just how wrong that VAR ruling against your team was. Didn’t get a ticket? Head to Boho instead, which also offers a combination of football and sea views. This restaurant is half glass pavilion, half tent, and generally an airy, breezy place to spend a few hours. Since this is not your standard football pub, don’t expect usual pub grub. Instead, there are salads, variations of pasta and fish dishes — all good options if you’re looking for something a little lighter (there’s also pizza if you’re not.) The staff is friendly and accommodating, but make sure you come early to grab a good table, as unfortunately not all of them have a decent view of the screen. With a projector and two wall-mounted television screens, this traditional Russian pub is set up to make sure you don’t miss any of the on-pitch action. That being said, there’s no guarantee you won’t be distracted once your food arrives, because it’s a sight to behold and is a far cry from the usual sports bar fare. Pivnaya No. 1’s signature dish is Sochi crabs, served in a big wooden bucket alongside chunks of lemon and a bundle of dill so big you can hide behind it. It’s simple, it’s delicious, and it has the added benefit of giving your fingers something to do when the on-screen tension rises. After all, you don’t want to resort to shredding the label of your beer bottle — they’re just far too pretty for that, at least if you go for one of the many craft beers on offer. Does Pivnaya No. 1 sell “the best beer in Sochi,” as it claims? It certainly tries, and the friendly staff will be happy to help you find the one that is most to your taste. Don’t miss this place. Given the constant debate of whether hockey or football is more popular in Russia, a visit to a restaurant named after the word for “hockey puck” may feel a tad disloyal. But don’t worry! Cafe Shaiba is very much a place for football fans too and regularly shows matches even outside the World Cup. 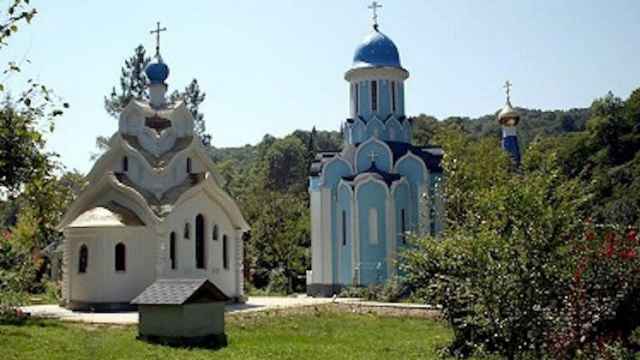 The place itself is easy to find — it’s next to a little park near Sochi’s yacht club. Coming from the city, aim for the McDonald’s, then ignore it and head to the left to the roundish little building with something vaguely puck-shaped on the roof. There’s outdoor seating under a bunch of beautiful old trees, though indoors is where you’ll find the TV screen. 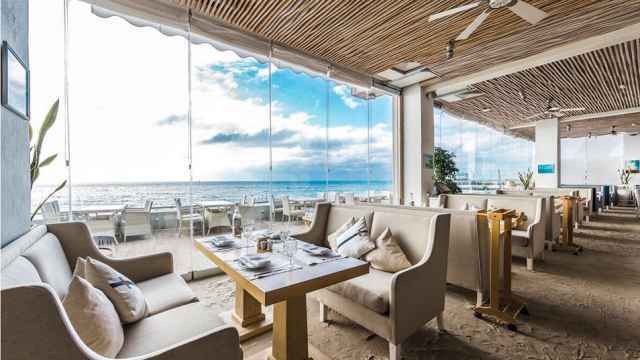 It’s also where they will serve you a mix of Black Sea, international and Georgian dishes — mussels and pizza and khachapuri, oh my! 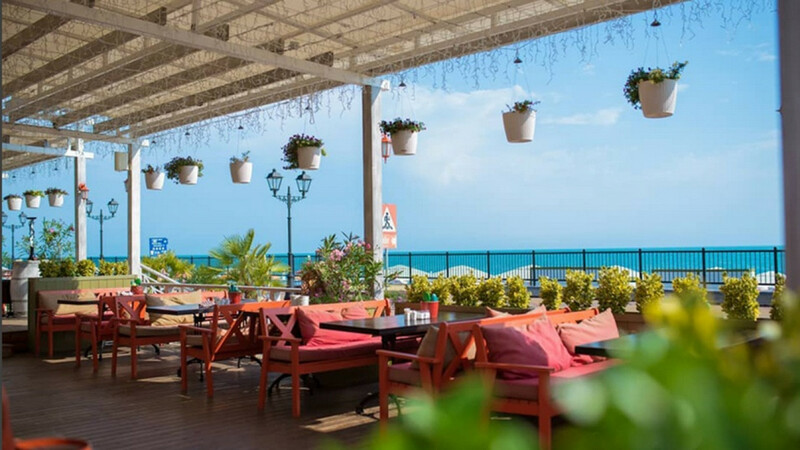 After a hot day in Sochi’s busy center, this is a great place to unwind, with a breeze coming from the sea and a pint firmly in your hand. Don’t let the name put you off: This place was not inspired by Charles, aged 69, nibbling on an overpriced organic biscuit while raving about the benefits of homeopathy. Long before the current person in the position came along, “The Prince of Wales” was a popular name for pubs, and this one, behind the Imeretinsky Hotel, strives to be as traditional as it gets: fish and chips, bangers and mash — think of your go-to English dish, and it’s probably on the menu, right up to more recent additions like chicken tikka masala. The Prince of Wales also boasts “The best beer from England, Ireland, Belgium, the Czech Republic and Krasnaya Polyana. Remember, this is a corner pub — so when it’s crowded, it can take a while to catch the waiter’s eye as he disappears, once again, around the corner. But resident pub cat Igor Borisovich (who has his own social media presence, because of course he does) may just deign to let you pet him while you wait. This list wouldn’t be complete without an Irish Pub, because let’s face it, nobody does pubs like the Irish do pubs. O’Sullivan is right behind the Radisson Resort, which has housed several international football teams in the past year. Step onto the pub’s porch, and you’re greeted by bunting in the Irish colors. Inside, their credentials go far beyond the odd flag or five: The bar boasts 13 kinds of Irish whiskey alone, plus another two dozen from elsewhere, provided of course that you’re not a whiskey purist. When there’s no football on, you can listen to live music or just use their free wi-fi to finally post some of those beach photos you took earlier. Finally, cheering for your team is hungry work, so take a look at the section of their menu titled “Traditional Irish Pies.” Chicken mushroom or beef and Guinness? Nobody said the World Cup would be a time of easy decisions.